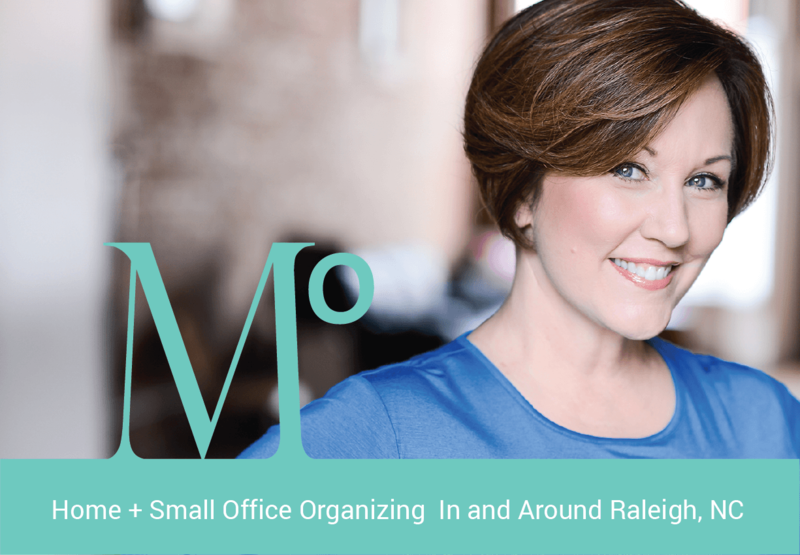 Are you looking for a professional organizer in Raleigh, NC? Metropolitan Organizing has been helping people in and around Raleigh, NC declutter + organize their time, space + stuff since 2002! Metropolitan Organizing, LLC® provides professional organizing and decluttering services in Raleigh and Cary, NC. Encouraging our clients to love what they keep, and keep only what they love. Together, we’ll figure out exactly what your goals are. Then, we’ll work as a team to implement a plan and a system to get it done. Organizing your home is restorative and invigorating. And the feeling of satisfaction and fulfillment is priceless. First, we perform an initial assessment over the phone and talk with you about your priorities and personality. Then we come up with a plan that will work best for you and your situation. At our first meeting we do a whole-house tour and get started with hands-on organizing. We’ll continue to book appointments and work together until the task is completed. Every project is different. Because we customize the organizing process to you and your needs, we’re unable to give specific time estimates for projects. Focus, clear decision-making and “homework” make the process more efficient and can help you stay within your budget. The number of sessions required depends on your situation. We primarily serve residents and small businesses in the Raleigh, NC metropolitan area. Travel up to 45 minutes from Cary is included in pricing. Travel fees may apply if your home or office is outside a 35-mile radius from zip code 27513. Depending on the size of your project, 1–3 of our organizers will work with you in 4–8 hour blocks of time. We recommend large blocks of time — specifically 6- or 8-hour sessions — to organize your space. If you choose to have 3 organizers help with your project, it will make the process more efficient and save you time. We assign members of our experienced organizing team based on your schedule and availability. and treat every client with respect and discretion. The number of organizers and the number of sessions will vary based on your needs. Payment is due at the time of service. In some situations, a deposit may be required. Payment may be made via check, MasterCard, Visa or Discover. A 3% processing fee is added to credit card charges. Checks should be made payable to “Metropolitan Organizing ® LLC.” Please note that returned checks will incur an additional fee. The cost of agreed-upon organizing supplies is the responsibility of the client. Supplies commonly required to complete a project include shelving, storage containers, labels, file folders, etc. We will inform you what to purchase and where. It will be your responsibility to purchase the supplies prior to the next organizing session. This is the least expensive way to shop for supplies. We will go shopping for supplies together. This ensures you purchase the correct products and get to choose colors, styles and patterns you love. We’ll shop and purchase the supplies for you. We’ll either deliver the supplies directly to your home or arrange for shipping. Expenses incurred on the client’s behalf are the client’s responsibility. These may include parking, shipping charges and transportation costs. Receipts will be provided to the client at the time of payment. We require 48 hours notice to cancel an appointment. Except in the case of an emergency, clients who cancel fewer than 48 hours prior to their appointment will be billed the full cost of the organizing session. We’d love to help you declutter and get organized.